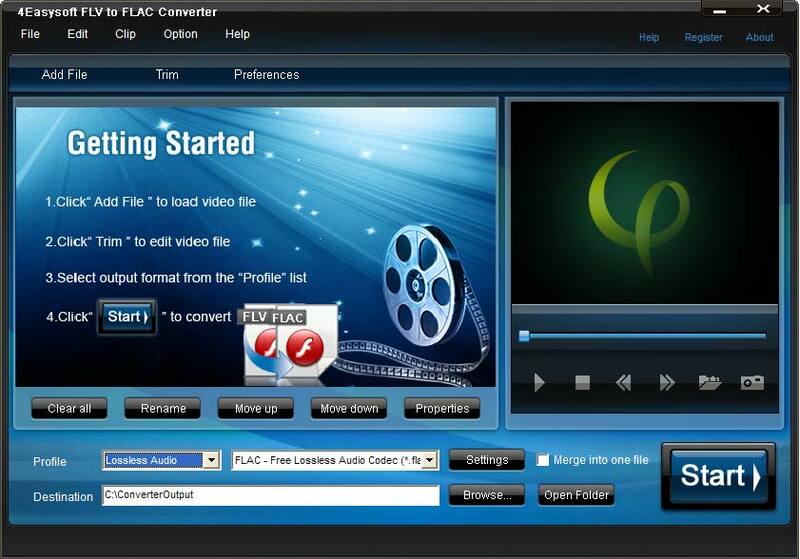 In addition, this FLV to FLAC Converter allows you to get any time-length clips from your video source, choose your preferred subtitle and audio track. Capture your favorite images when you preview your source video. You can also set the exact output audio parameters for you to get the perfect quality. 4Easysoft FLV to FLAC Converter help you to convert FLV, SWF, WMV, ASF, 3GP, 3G2 video to FLAC audio. Capture any time-length audio clips from your source video. 4Easysoft FLV to FLAC Converter can join several separated files into one for you to enjoy it successively. Possessed of friendly user-interface, 4Easysoft FLV to FLAC Converter can bring you pleasure to enjoy the digital world for easily operation and perfect output quality.